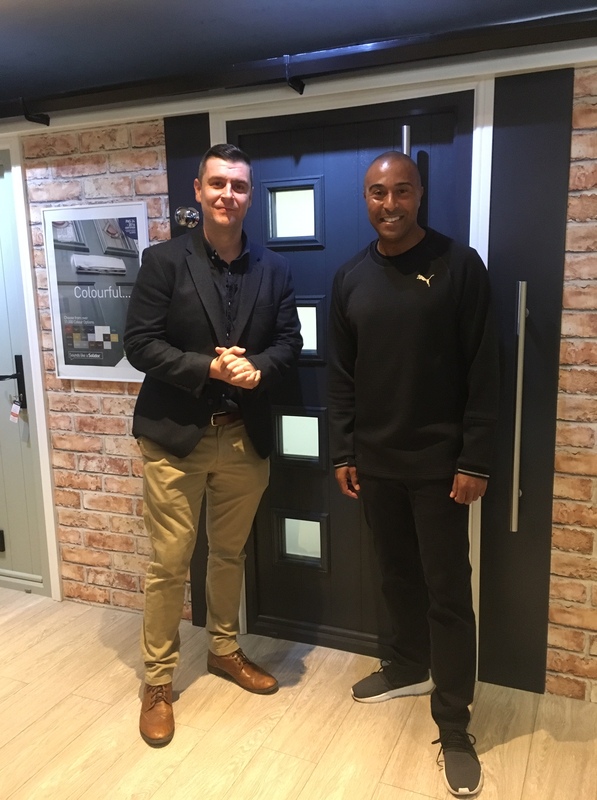 Colin Jackson CBE has opened the newly refurbished showroom for Cardiff-based Heath Windows, which includes an expanded display of premium composite doors. But Colin Jackson is no stranger to Heath Windows having had a Solidor composite door in each of his last two houses and has also persuaded his sister to join the long list of celebrity endorsements for the highly respected composite door brand. When he was politely asked if he could open the event, Colin was only too pleased to support his local installation company. Heath Windows was a winner in the recent Cardiff Business Awards 2018 and their customer satisfaction levels are impressive with a 4.9 rating over 66 Google reviews. Similarly, they achieve 4.9 over 222 reviews on All Checked and 4.8 in 41 reviews as a Which? Trusted Trader. Please visit www.heathwindowsltd.co.uk for details about Heath Windows and visit their Facebook page to see a video of Colin and the Heath Windows team at the opening event.